We have a quality collection of Premium Bronze Chrysanthemum Disbud Flowers available right at your fingertips. We are proud to be able to provide Premium Bronze Chrysanthemum Disbud Flowers for sale to our online customers. These Bronze Chrysanthemum Disbud Flowers are perfect when given as a gift, or simply to brighten up your home or office space. We carefully nurture all of our Bronze Chrysanthemum Disbud Flowers to ensure that every petal is intact when it arrives to you. Bronze Chrysanthemum Disbud Flowers are known for their classic beauty and elegance. When you order our Bronze Chrysanthemum Disbud Flowers we offer convenient and free delivery. We can ensure the quality and freshness of our Bronze Chrysanthemum Disbud Flowers. Our greenhouses are eco-friendly, and they are run by floral professionals that attend to every need of our flowers as they grown. We cut our Bronze Chrysanthemum Disbud Flowers fresh for every order. 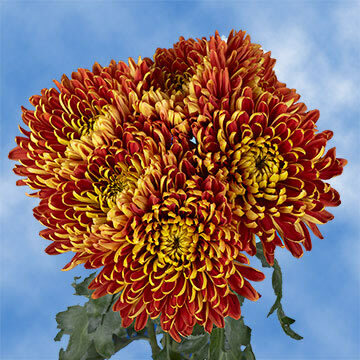 Feel free to buy our Bronze Chrysanthemum Disbud Flowers today.